There's a whole lot to be thoughtful about right now. Particularly now that we're post-election. No more ad campaigns, no more lies ... well, fewer lies anyway... maybe. But, I'm not going into that. No sirree. I'm going to talk about less formidable, less headache-inducing things. Fantastic things --and one not-so-fantastic thing-- that happened this week. I'm doing this so I won't cry. Fantastic: My book, my little, tiny story has been in the top 100 kindle classics for kid literature for three weeks now. THREE WEEKS. Why? I'm not exactly sure. But a few sales a day sure can make a writer happy. THIS is fantastic. If you haven't read my middle grade book, you should. I kind of like it. 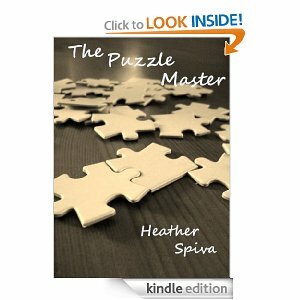 The Puzzle Master. ◄▬ Click on that and get the Kindle version for only $.99. Not fantastic: See this coupon? Imagine me cutting coupons out of the Sunday paper. Imagine me trying to save money. Imagine seeing this coupon, reading what you're actually saving (ten cents per box of tissue) and realizing it's not even worth the paper it is printed on. What's worse? I could walk my grocery store and find thirty cents on the floor in thirty seconds. This piece of paper is NOT a coupon. This is absurd. This literally insults me. So NOT fantastic. Fantastic: Fortune cookies are pretty cool. Not for the taste necessarily, but for the little piece of paper that is going to change your world. I found two of these little gems in a vintage coat. Proof that we are all the same and proof that we all wish for the good fortunes that come from these pieces of paper even back when JFK was president. While these fortunes have no real bearing on us, at any time or for any reason, they make us think twice. Whoever owned the coat I was looking at held onto the fortunes hoping it would bring him luck. One of the fortunes says, "you will always have good luck in your personal affairs." Very generic, but always a comfort to read. That's fantastic. Not fantastic:Well, this week hasn't been a fantastic one for me, even though I will remain positive about it all. In that light, I'm not going to end on an un-fantastic note. I will stick with the fortune cookie scraps from decades ago as fantastic. And I will have good luck in my personal affairs, darn it ... even if the government feels it has to lend a hand in that too. Keep writing. I am, even if it's about coupons, Amazon rankings, and fortune cookies. I've noticed most coupons lately are pretty useless. Congrats on your book. =D Maybe the fortune you found in the coat pocket is luckier than you think.